The film Alive inside illustrates the power of music to activate our brains more that any other stimulus. In the article on our Education Site at Sonic Branding: We explore the science of music using the research of Professor DeathRidge. Professor John Deathridge, a musicologist at King's College Greater London, suggests that music branding has an early, and provenance. Enjoy reading this fun and useful blog with lost of insights and fascinating tales on sound branding. Tales like the story of the sonic Finder that could have been, and never was at Apple, for Example. For the latest news on “Sound Sonic Advertising” stay tuned to our news. This Sonic Branding Definition by the British Broadcasting Company is an important archive on just what sonic branding is. Not only is it a good definition of sonic branding, it position the sonic movement, using sound in marketing as an emerging industry in its own right. The full article is available at http://news.bbc.co.uk/2/hi/uk_news/magazine/8748854.stm – Here are some of the ideas that stuck me as most influential or descriptive. Today sonicbranding is a multi-million $ industry, with brands trying to identify with the emotional appeal of a product and communicate them directly into your mind. Come down to?taken to its easiest form everything makes use of the thinking of such composers as Richard Wagner and also John Williams as well as the dark arts much more typically related to Mad Males’s Don Draper. For Daniels, sonic branding has to do with developing a partnership between the brand and also its target audience with the latter’s ears, fulfilling the role that a nationwide anthem plays to a nation or a hymn plays to a religion. He Tells us that “All brands make a sound someplace, whether it’s in a shop, on a TV commercial or with a telephone,” he says. “Sonic branding is handling that sound, ensuring that it’s positive”. We all know jingles and phrases such as “Hot Chocolate, drinking Chocolate or Purina Dog Chow, All you add is love, and others. I remember these from over 50 years ago and why? Because they are catchy tunes that stick with you, like earworms etched in your mind. The jingles and rhymes and rhythm are engaging, and what does that mean for the brand- recall, and engagement. That is why sonic branding works.. It is a well know fact that Music has more ability to activate more parts of the brain than any other stimulus” (Alive Inside). This fact was brilliantly demonstrated in “Alive Inside” the film of how music changed the lives of patients with Alzheimer’s who were severely incapacitated with the disease. Its great video to understand the power of music – the reason for sonic branding! What is Sonic Branding – INC.
How to Add Sonic Branding to Your Business: What is Sonic Branding? Arbeeny, teaches sonic branding at Pratt Institute’s communications design program. It is a bit different to what she did a few years when brands just wanted just a sound logo – “a short pattern of notes like NBC’s chimes or the -Intel Inside- tune. Book buyers also get to join the membership site – and get Lauras newsletter. 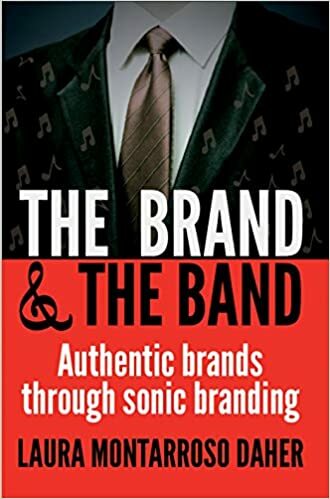 It is a fun book with lots of insights – it reveals who are the major sonic Branding companies and looks at sonic branding successes as well as failures with examples and case studies.